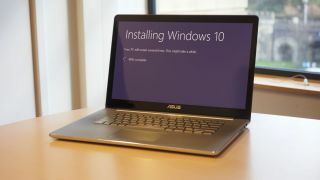 In the US a lawsuit has been aimed against Microsoft which accuses Windows 10 of damaging PCs and causing users to lose data. Specifically, this is referring to Windows 10 upgrades on Windows 7 and Windows 8.1 machines, which in one case is alleged to have happened without the user realizing or wanting said upgrade. As the Register reports, the suit, which has been filed on behalf of three people in Illinois and is looking to become a class-action affair to represent all parties affected by upgrades that caused data loss, accuses Microsoft of failing to exercise ‘reasonable care’ when it came to designing and implementing the Windows 10 upgrade process. The suit notes that in one case, that of Stephanie Watson, the Windows 10 upgrade installed without her consent and ended up deleting data, some of which was related to her job. It further adds that despite bringing in professional tech support to revert the computer, that process was only a ‘partial success’, and she eventually ended up having to buy a new PC. Another plaintiff says he consented to the update, but after the Windows 10 upgrade his computer stopped working, losing him data, time and money. The third plaintiff’s complaint was along similar lines: he accepted the upgrade, but ended up with a machine that didn’t work, and lost data. The lawyers behind the suit say there are hundreds of thousands of individuals who were affected like so in the US, and who could be represented in a full class-action aimed at Microsoft. You may recall that back at the time when the free Windows 10 upgrade was still officially active (note that it’s still possible to get a free upgrade, unofficially), there was plenty of controversy regarding the number of ‘Get Windows 10’ prompts popping up on users’ desktops, and the fact that the process was opt-out for those who hadn’t disabled ‘recommended’ updates. Of course, as we observed in this piece on the outrage over Windows 10 automatic upgrades, Microsoft made sure there were still warnings that the upgrade was scheduled to take place – although these warnings were perhaps missed by users in some cases, or indeed misunderstood by less tech-savvy folks. At any rate, Microsoft has responded to the Register to say that: "Customers had the option not to upgrade to Windows 10. If a customer who upgraded during the one year program needed help with the upgrade experience, we had numerous options including free customer support and 31-days to roll back to their old operating system. We believe the plaintiffs’ claims are without merit." That said, sometimes rolling back is a process which fails – as is alleged to have happened in the case of Stephanie Watson here – and that’s obviously when there can be a real problem. As we have often stressed, it is incredibly important to keep regular backups of your important information, and making a backup before upgrading or updating an operating system is even more important. Check out our list of the best free PC backup software if you haven't backed up your data in a while. One way or another, this lawsuit will certainly be one to keep an eye on.